Today you have been Systems Engineers and learned that a system is a set of things working together as part of a whole. There are lots of different systems in the world around us ranging from manufacturing plants to waste disposal and even our own bodies. Everyday tasks like shopping at the supermarket or taking a journey by bus need systems to ensure they run smoothly. Can you imagine what would happen if we did not queue to pay the driver or did not press the stop button when it was time for us to get off? What is a systems engineer? Systems all need a systems engineer. They use different people, components and actions together to solve a particular problem. Your problem today was to build a marble run where the marble rolled for the longest amount of time. To be a successful systems engineer you needed the skills of collaboration (working with other people), imagination (thinking about different ways to design your system) and resilience (bouncing back from setbacks and keep trying until you found a solution). 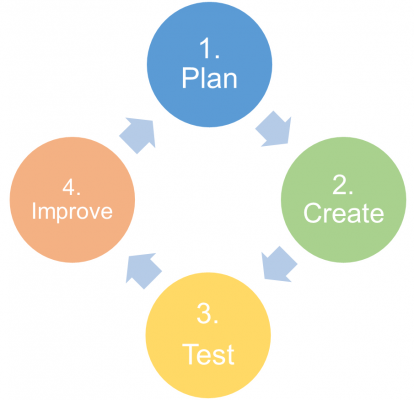 You also used the engineering design cycle to create your system. This is best done on a wall, door or fridge, but could easily be made in a large cardboard box. Select a piece of cardboard. If you are using empty boxes, flatten and cut along the folds. Roll or fold the cardboard if it is thicker, to make a U shaped tube large enough for a marble to roll through. Use masking tape to secure the cardboard into shape. Now use masking tape to attach your tube to the wall. Make sure that you start quite high up on the wall and that your tube slopes slightly downwards. You might need someone to help you. Remember systems engineers collaborate. Test your tube with your marble. Make and attach another tube to the wall. Make sure that the start of the new tube is underneath the end of your first tube so that your marble rolls easily between tubes. Test this with your marble. Continue making and adding tubes to your marble run. Test the structure each time to make sure that it works. 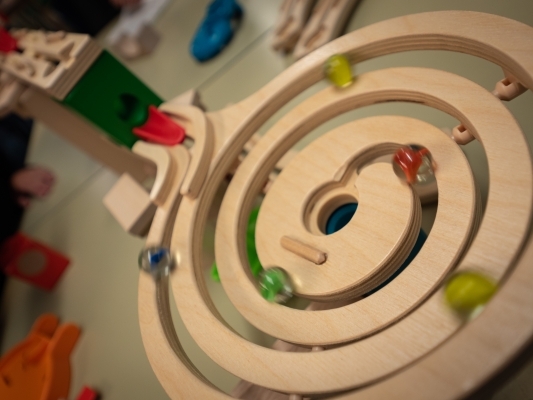 Experiment with different shapes and materials to make a more interesting and exciting marble run components. Remember: systems engineers use their imaginations. Have you ever tried to make a domino run? To try this at home you will need a hard, flat surface and plenty of dominoes. Click here to visit a website with instructions from beginner to advanced level toppling. You may want to use a combination of your domino and marble runs, as shown in this video. A Rube Goldberg (or Heath Robinson) machine is any system that uses a chain reaction to perform a simple task. This is the video of an example of a Rube Goldberg machine that you watched in school. Choose the simple task you want to achieve. You could turn off a light, open a door, hammer a nail or pop a balloon. Make a Plan. Look in your toy box or bedroom for the things you could use for your series of actions that will complete your task. You might want to topple a tower or send a car down a ramp. Think about the actions used in The Cake Server and whether you could use any of these. Draw a plan of how your system will work. Collect all of the things you are going to use. Some ideas are dominoes, magnets, masking tape, marbles, cups or bowls, miniature toy cars, paper towel tubes and string. Ask your parents or carers to help you before you start experimenting with their things! Build your Rube Goldberg machine. Follow your plan and place your materials where you think they need to be. Don’t expect your Rube Goldberg machine to work the first time you try it. 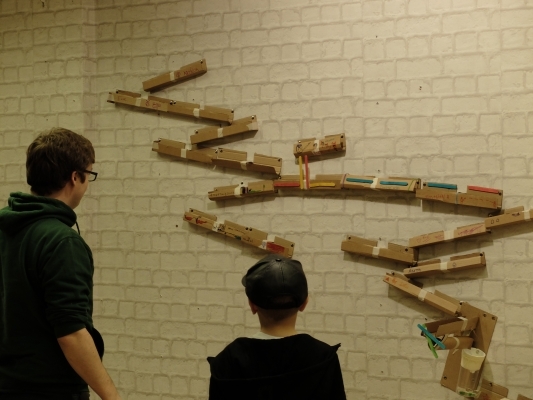 Just as when you were building your marble run, you need to create, test and improve your design until it works. Remember: systems engineers are resilient! Maybe one day you will create something like this!